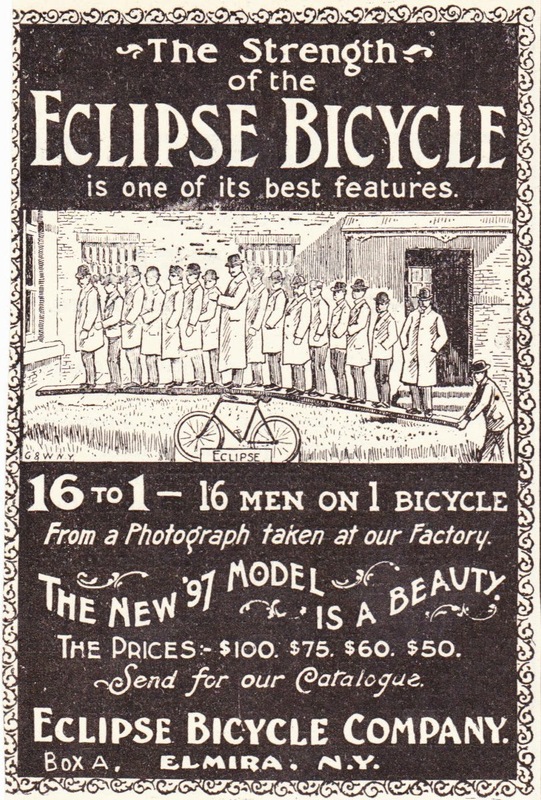 Text: The Strength of the Eclipse Bicycle is one of its best features. 16 to 1 — 16 MEN ON 1 BICYCLE. From a Photograph taken at our Factory. THE NEW '97 MODEL IS A BEAUTY. THE PRICES: $100. $75. $60. $50.